The best way to really know Australia, beyond kangaroos, koalas, and "the land down under" is to experience it firsthand. Participating in a YFU exchange to Australia is a dinky-di (genuine) experience that tourists can't replicate. Watching Australian outback wildlife documentaries on television is one thing, but traveling there and experiencing it first hand is another. The best way to really know Australia, beyond kangaroos, koalas, and the "Crocodile Hunter," is to see it for yourself! Choosing Australia as your host country will be a "dinky-di" (genuine) adventure that television just can't replicate! A lot of the time you spend in Australia will be with your host family. Australians are known for their hospitality and will welcome you with open arms. Your time in Australia will introduce you to a blend of unique cultures from the metropolitans of Melbourne to the indigenous people of the outback. Your fitness may improve during your stay in Australia due to the abundance of light and healthy foods such as vegetables, fruits and fish! You may even get to try vegemite, meat pies or lamingtons, or a good ol' fashioned Australian barby! Education in Australia is compulsory for eleven years, starting at the young ages of five or six. Students have the option to continue for another two years if they want to further advance their education. The country has an impressive literacy rate of ninety-nine percent and the quality of Australia's schooling is rated one of the best in the world by the Organization for Economic Cooperation and Development (OECD). In addition to school, there are a variety of activities for you to participate in such as surfing, swimming, fishing, sailing and tennis. More competitive activities include sports such as rugby, football and cricket. So come venture down under and experience all that Australia has to offer! Football, tennis, cricket and water sports..
Information regarding visas and other immigration processes will be provided upon enrollment. Note: Students on the Combination semester program will need to obtain visas for both countries. Textbooks, uniforms if required, special school subject fees, extracurricular activities and excursions, school lunches, and transportation to school are not included in the tuition and vary depending on where students are placed. Students are also responsible for covering any fees related to obtaining a visa. Host families provide the same care and support as they would for their own child but are not responsible for costs related to entertainment, leisure activities, or other personal expenses/ spending money. Do you want to experience local life and culture in both Australia and New Zealand? Now you can! Students who participate in the Academic Semester Combination Program will spend 10 weeks living in each country, while living with local host families and attending public or private high school. This 5 month program offers a Spring or Fall departure. The Spring Program begins in late Jan./early Feb. in Australia and then immediately follows with a stay in New Zealand from early April to mid June. 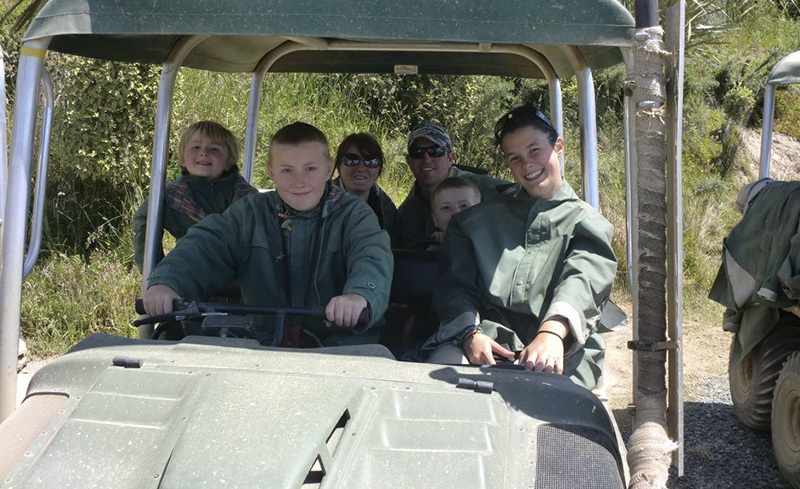 The Fall Program takes place in Australia from mid July to mid Sept. and then moves to New Zealand until late November. Students may be placed in any part of either country and may have the option to receive reports for their time in school. English. Although there will not be a language barrier, you will be able to learn the unique Australian lingo! Placements can be in all states and in urban, suburban, small town or rural areas. Students can indicate a preference for a certain area but placement in a particular city cannot be guaranteed. As a trimester exchange student to Australia, you will live with a local host family for 3 months and truly be immersed in the culture. Trimester programs are offered in the Spring (Feb.-April), Summer (June-Aug.), and Fall (July-Oct.). YFU may also be able to arrange alternate program dates or shorter stays- Please contact YFU early to inquire about these potential options and other flexibility. Exchange students will be placed in public or private high schools in the year level and class schedule determined by their host school. Most students will not be placed in the final year of high school and attendance recognition is solely at the discretion of the school to which you are enrolled. Exchange students are expected to actively participate in school. While schools can vary, they follow a national curriculum that includes the following subjects: Arts, English, Health and Physical Education, Civics and Citizenship, Economics and Business, Geography, History, Languages, Mathematics, Science, and Technologies. All students will participate in a one-day local pre-departure orientation in November/December (spring programs) or May/June (summer/fall programs.) Additionally, spring trimester and fall trimester students may be able to attend the YFU National Pre-Departure Orientation, a 3-day program aimed at preparing students for their experience overseas. After arrival in Australia, all students will attend an orientation with their local volunteer coordinator. All orientation costs are included in program tuition. 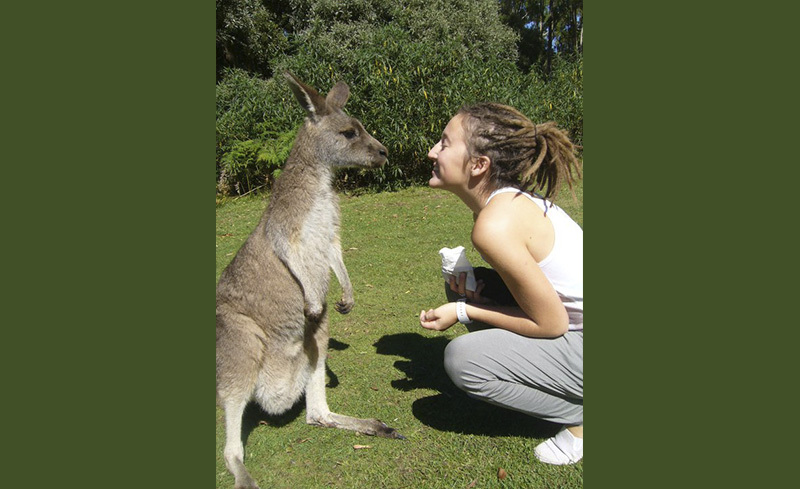 Get to know Australia up close through a summer immersion program! You'll live with a volunteer host family, attend a local public or private high school and engage in the life of your new community over the course of 6 weeks. The summer program offers two start dates, one in early June and the other in early July. Students seeking additional program options besides those listed here should contact YFU to inquire about possibilities. YFU may be able to provide students with 6 month, 9 month, and School Year programs at high schools throughout Australia.